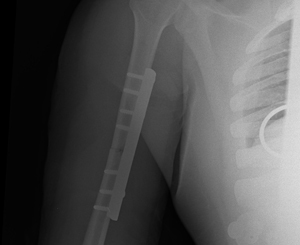 Young man involved in high-speed road traffic accident. 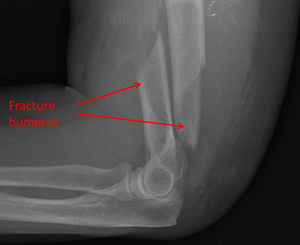 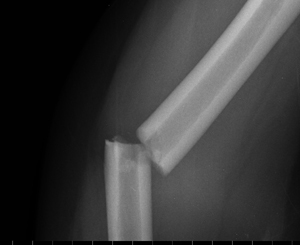 Amongst other injuries he had a displaced fracture of the humerus. 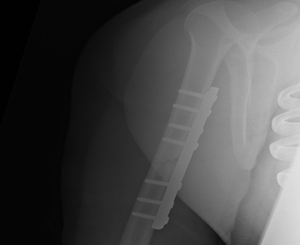 Stable fixation was achieved using a big plate. 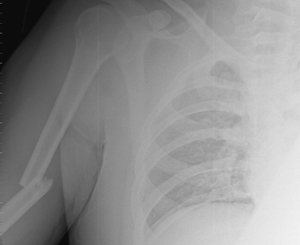 This lady had a displaced fracture at the lower end of the humerus. 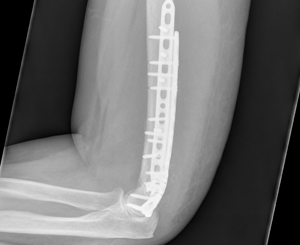 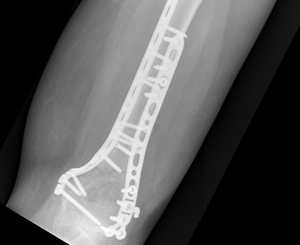 This was fixed using 2 long pre-contoured Titanium plates allowing for early mobilisation without the need for any splints or casts.